Auckland Guitar School's annual student concert! Add ticket to Cart, enter your pre-issued code in the blue box then click to Apply discount. 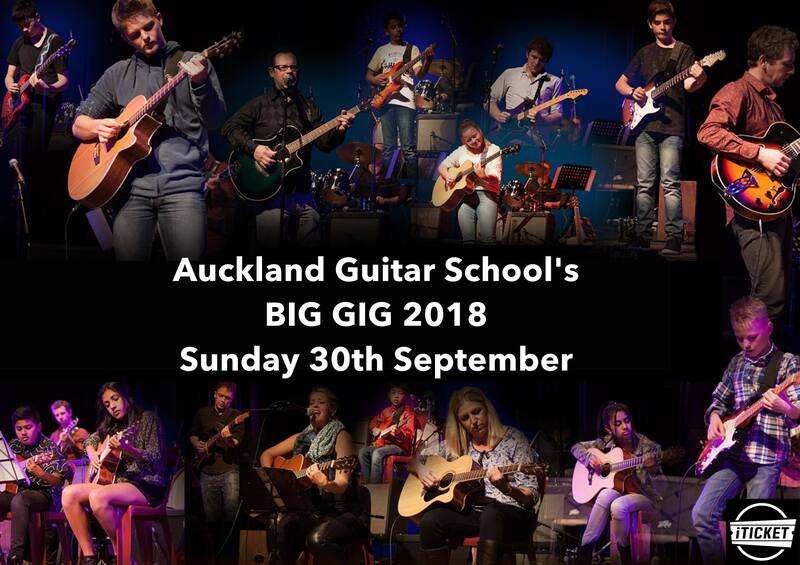 Auckland Guitar School’s talented students put on their BIG annual concert for 2018. There will be electric guitars, acoustic guitars, adults, kids, solo and band performances, and a big finale. Come and hear everything from Pink Floyd and Dire Straits through to the Foo Fighters and Van Halen with some great original music thrown in for good measure!